Are you ready yet for Christmas? I am all done with my baking, handmade cards sent, shopping done, and now for the DREADFUL wrapping. I wish I could pay someone to just wrap all my presents.....I would pay top dollar! 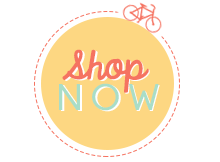 This is a card that uses my favorite stamp set from the Stampin' Up! Holiday catalog...Christmas Magic found on page 22. This set is one that I will probably keep for a long time and not include in my yearly garage sale. There are SO many things you can do with it! Stamp the sentiment image from the Christmas Magic stamp set with Black Archival Ink as shown in the photo above onto the 5 ¼” x 4” piece of Whisper White card stock. Next, use the star swirl image from the Star of Light stamp set and Crumb Cake ink and randomly stamp around the sentiment. Adhere the stamped piece of Whisper White card stock to the 5 3/8” x 4 1/8” piece of Basic Black card stock and layer those onto the Crumb Cake card base. Set aside. 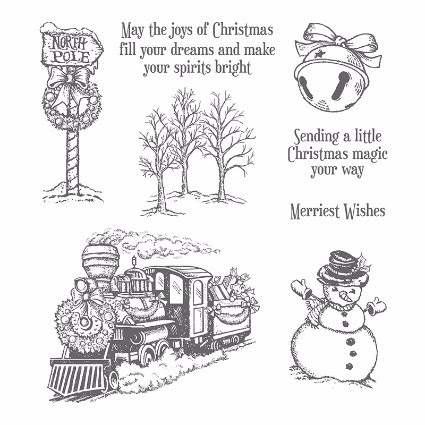 Stamp the snowman image from the Christmas Magic stamp set in the center of the 2 ¾” x 2 ¾” piece of Whisper White card stock. Using the Blender Pen and stamp pads listed, color the following: snowman’s nose with Pumpkin Pie ink, his gloves and scarf with Cherry Cobbler Ink and his hat band and holly berries and the holly leaves with Garden Green ink. Use the Wink of Stella-Clear to add sparkly highlights to the snowman and swirly stars as shown. Punch one end of the piece of Designer Series Paper from the Warmth and Cheer Paper Stack using the Banner Triple Punch to create the “flagged” end of the banner. Adhere banner as shown to the Whisper White panel as shown. Next, layer the snowman image piece to the Basic Black and Crumb Cake card stock squares that coordinate with it. 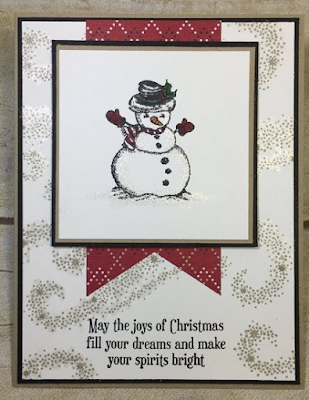 Use Stampin’ Dimensionals to adhere the snowman panel to the cards.